As the saying goes “Knowledge is power” Gaining knowledge of the industry you would like to work in is a good way to decide if the job is the right one for you. You will learn so much that you can take away and put to great use in your new chosen career. Like with knowledge, you will learn the relevant skills required to do the job that you have chosen and these skills will make sure you feel well equipped and ready to take on a new challenge. You will also discover that you already posses many useful skills, and these are not only useful for work but also lend well in various aspects of your personal life. Lacking confidence is very common and often stems out of a fear of the unknown. Training courses will help you to understanding those fears and look at a solution to overcome them. You will discover your own strengths and abilities and explore your limitations. This will allow you to be more confident in your ability to do the job. By stepping out of your comfort zone you will learn new things and grow as a person. Motivation is the driving-force that pushes you to achieve what you want. It can be very difficult to find motivation if you are unsure of what it is that you want, or your environment and / or friends are having a negative effect on you. 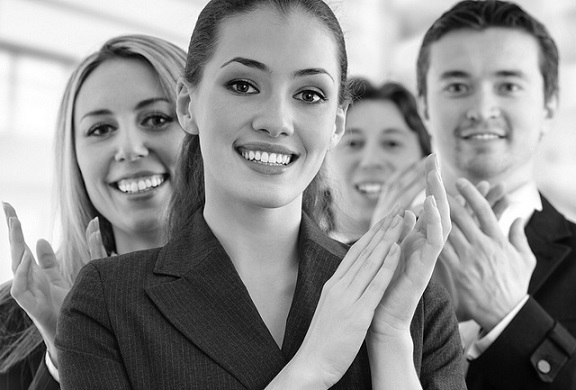 During training you will be surrounded by motivated people who are excited about their next steps. This atmosphere is positive and by the end of the training course you too will be motivated to put into practice what you have learnt and push yourself onto the next level. Self-esteem is your emotional state and how you judge yourself for what you are worth. By investing in your own personal development you are taking a big step to increasing your self-esteem. When you realise your potential and see the value you can add to a workforce this will further increase feelings of self-worth. You will feel that you have a sense of purpose and belonging, are giving back to society, making a difference and providing for your family. Training courses open up our desire to learn and often people instinctively want to find out more. Everyone has the resources they need to succeed and opportunities will make themselves visible as you will have the resources to see them. Training courses will help unlock the ability to use your internal resources such as confidence or being organised or external recourses such as extra reading materials or websites to research. Many of you will have friends, whether through social media sites or in your address book, that you have collected and built up over time. Networking is very similar, as you are building a list of contacts that you can draw upon when you need them, they all will serve a purpose somehow. Maybe not today, maybe not even tomorrow, but one day one of those great contacts could potentially change your life. Not only are you building a useful set of contacts, you are expanding your friends list and many great friendships are formed through networking as you are mixing with like-minded people. Making decisions on your next steps, and planning for your future, on your own can be difficult. By meeting like-minded people you will build a support network who can help you when you need it. Having people around you who are supportive and who believe in you will motivate you to strive for the best and will allow you to achieve your full potential. This may be family, friends or complete strangers who cross our paths. Setting goals is vital to being successful and moving forward. Many of us have goals and dreams that we want to achieve but because we don’t set them in a meaningful way we never achieve them, leaving them as far away tomorrow as they were today. Training will help you will feel inspired and ready to plan your next steps using the right tools to do it. Attending a training course is a great step to take to finding your new job. Once you have taken the first step and have completed the training course, you are in a really good position to move to the next step. You will be feeling positive, motivated and confident and ready to take all of the points from above to plan the goals that will set you up to succeed and find the job that you deserve. My name is Jessica Bentley, owner of Bentley’s PD. I have been in the field of Learning & Development for some 10 years now. During that time I have trained a variety of people ranging from school leavers, who are joining the workforce for the first time, up to directors, who have gained a wealth of experience throughout their career. Despite the diverse range of skills and positions held within an organisation, the core principles are always the same. Therefore I have selected 10 of the best to inspire you to take a leap towards the new you.